I’m a great believer in the “push present” for women who have just had babies. It doesn’t matter if you’ve given birth or adopted. All big occasions should be celebrated with jewelry, and becoming a mother is pretty damn big. Check out my website or contact me to discuss a custom design. You can read stories about my custom work here and see examples here. Photo via the highlarious Dlisted. Click for source. … I would refer you to Nick’s jeweler, Jason of Beverly Hills. As soon as I regained the power of speech. Frankly, I’m a little disappointed in Nick Cannon. The ideal push present on the Jason of Beverly Hills site is definitely this ring. UPDATED TO ADD: Rachel Zoe’s push present was a diamond ring from Neil Lane. OMG that necklace is fucked! I wonder how much it cost? No words for that other ‘thing’. $12K, according to the story. That’s it? For someone with Mariah’s money, I’d be disappointed – and, really, that’s not pretty at all. Push presents… yay. At least you have to push a lot to get them babes out, ha haa. Ya, it’s a little childish. Then again, Nick is a bit of a child still. Hi there! I’ve never heard of push presents, what a brilliant idea!! Ha, what a CRAZY ring!! Jason of Beverly Hills? Never heard of him. That necklace is a mess. But the ring? AWESOME! I knew you were awesome when I saw that you snagged that picture from Dlisted!! I don’t care if Michael K is gay, I want his many babies! 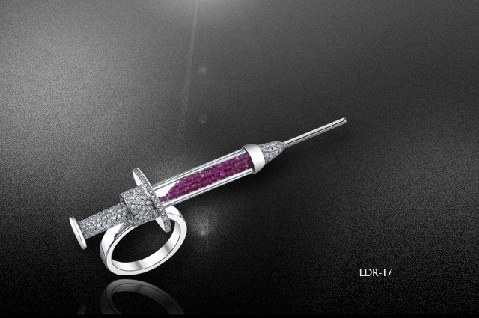 That’s what my life is missing, diamond syringes. 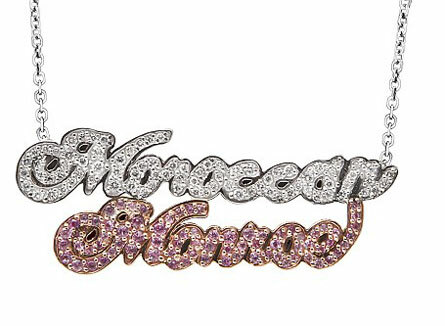 I’m all for giving women jewels (or having them purchase them themselves) on any special occasion. However, the term “push present” totally creeps me out. I wouldn’t want either of those “presents.” What’s with those NAMES? Celebrating important moments with jewelry is an idea I definitely support. I keep trying to come up with an adjective to describe the epidural ring, and I keep failing. Not my kinda presents! 🙂 But that second ring is something! The only push present I’ll ever want is maid service for a few months afterwards! Ha! That necklace is horrendous but holy crap Zoe’s ring is insane!!! I’ve never heard of a push present before. Great moniker. I pushed two out and didn’t get any baubles. However, I did get the gift of the kids which is enough, I think.